Today we are gonna talk about Gol D Roger, or else known as Gold Roger. He is the person who started the whole Pirate Era, during his execution at Loguetown. A legendary man, the captain of the Roger Pirates and the father of Portgas D Ace. Who was he really? Many theories exist, such as that Gol D Roger is Luffy, and it was due time that we collected the best of them in a single post. Did he turn himself in? We all know the story. He was somehow caught(maybe by Garp?) and his execution was decided. 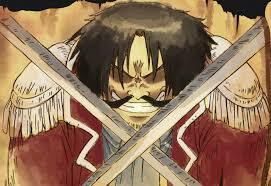 When it happened in Loguetown, he announced that his treasure One Piece is located at Raftel, thus sparking a whole generation of Pirates searching for it, in essence starting the Pirate Era. But was he really caught? The strongest pirate the world had seen up to that day? I believe there is a high possibility that he decided to turn himself in. His motivation being to start the Pirate Era that he started, and probably share what he knew about the Void Century, the Ancient Kingdom, the true nature of the World Government and generally the true history of the One Piece world. But what else could have motivated him to make this decision? control what would happen and leave the life with a bang, which he did. everything he could ever imagine. Consequently,he became a bit bored, vacant. So, he decided to make this world interesting, by becoming the inspiration of the Pirate Era. After all, all those young people would have never become pirates, if it wasn’t for him. They wouldn’t have the motivation and some goal/dream to look forward to and change their lives. Which brings us to the next point. While scouring the web for theories and ideas, a certain individual called Carl Rogers caught my eye. Carl Rogers was a psychologist, who developed a self actualisation theory. What the theory states in a nutshell, is that for a person to grow, some certain factors must exist in their environment. He also believed that anyone could achieve their goals in life, and when they do so, self-actualisation occurs. 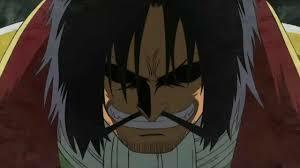 What if Gol D Roger is the Carl Rogers of One Piece? The man who wants to motivate the youngsters, in order for them to have a purpose. The man who gave them the reason to try and reach their true potential, to reach true self-actualisation. 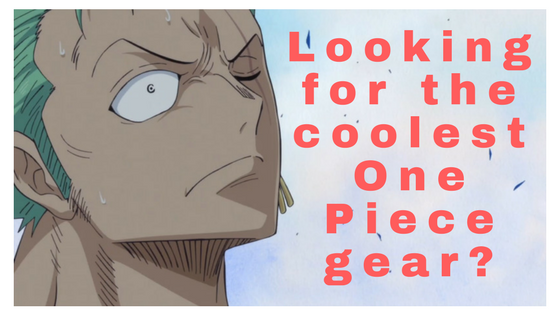 That reason could be the strive to reach One Piece and become the Pirate King. They all have to become stronger and make themselves better, in order to be worthy of the title of the King of the Pirates. One of the most crazy theories that exist, albeit an interesting one, is that Roger is actually the future self of Luffy. The reasons for this are manifold. First of all, their similar appearance, as well as their similar personality, the second having been stated many times in the series. Another one is what Roger said to the “Dark King”, Silvers Rayleigh, before he died. “I will never die, partner”. While i do believe he meant it about his legacy and his inherited will, some people argue that it was stated literally. The fact that Luffy is so sure about his conviction to become the Pirate King, could be a nice foreshadowin by Eichiro Oda, on what is about to happen. Luffy is so sure because it has already happened. He doesn’t know it consciously of course, but maybe his subconscious could have played a role here. However, i do believe that Luffy is convicted due to his character. He is a man who will accomplish his dream of absolute freedom, or die trying. A man like him can only be sure about himself, even arrogant. He believes in himself and that is one of the main reasons that will push him to realise his dream. Wouldn’t Roger have the Gomu Gomu no Mi? This theory has many counter arguments(i personally find it an interesting one, but i don’t believe it wll be proven to be true). One of the main ones is the following. Should Luffy be Roger in the past, wouldn’t Roger have the Rubber Fruit? While this holds true, there is one theory that may explain it. The theory says that Luffy would fight Blackbeard in the future and manage to defeat him. But the cost would be big. In order to defeat him, he would have to lose his devil fruit. It can go along with the fact that the Blackbeards steal devil fruits, and the fact that Teach himself can apparently eat more than one. This would lead to his devil fruit getting forgotten, and us never knowing that Roger possessed the Gomu Gomu no Mi to start with. We also know that Roger had some type of illness. Lets combine this with Luffy’s power. It has been shown that Gear Second pumps blood quicker all over his body. Not only that, Gear Third makes him stretch ubnormally. Gear Fourth is so taxing for his body, that he can’t use it for more than a set period of time. What if all this, along with all his big fights, cumulate and permanently damage his health? What if Roger’s disease is actually Luffy’s future disease? Those were today’s theories, and I would really love your input about them. 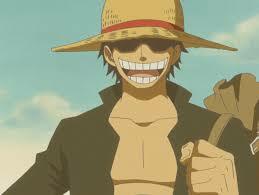 Do you believe that Gol D Roger is Luffy, or do you find it far fetched? Share in the comment section below. 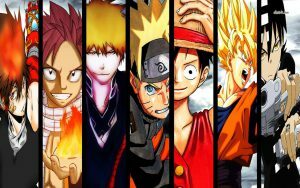 Anime is awesome, im not the biggest fan of one piece, but your style of writing is brilliant – this website is really cool to give people new options to consider with anime subplots, subliminal messages and different theories, thanks for sharing this work. What would you say are you favourite anime sites? Hey Marley. Happy you like my writing, appreciate it :). Hmm my favorite anime sites huh? I would say myanimelist.net is one of my favorites. Nice reviews and ratings on most anime from many different genres. For goodies and buying stuff, amazon has probably the best collection and prices. I will mention some more once i review them in a later post. Hope this helps! Reincarnation is indeed a part of the Japanese’s beliefs. I also don’t believe Roger had the Gomu Gomu No Mi. Like the reincarnation fruit idea though. Thanks for the input! I really enjoyed reading this theory of yours. I don’t think Luffy is Roger per se. Luffy is in so many ways similar to the pirate king Gold D Roger because (as many people seem to speculate) they both ate the Gomu Gomu no Mi. We all know that when the devil fruit user dies, it’s fruit will spawn again. And Luffy ate the fruit, which then grants him the same power as Roger. Just my thoughts. luffy is with his crew which is different from Rogers who will reach the raftel ! One thing you missed, is that luffy is already born when gold roger was going to be executed. Remember the part where roger asked garp to take care of ace? And garp told him about his grandson? Well, i actually didn’t miss those points. The idea of the article is mainly a hypothetical one and is closer to the metaphorical side as well! 😉 We don’t literally believe Luffy is Roger! Luffy was born 5 years after Roger’s death. I’m not sure about Luffy being Roger himself BUT there is strong evidence that Roger time travelled as his message was written in Poneglyph on undiscovered relic for hundreds of years. Time travel gives freedom to achieve all wealth, fame, and power so I can’t think of better idea, especially when it was revealed there could be Celestial Dragons who lived for like centuries with Perennial Youth Surgery. Luffy probably is not Roger since I don’t buy him giving birth to Ace with Anne. But if he really is, there is real potential for writing a very intriguing storyline. The time travel possibility seems to be an intriguing one indeed. I can’t imagine possible interesting storylines that can spawn from that. Personally, I don’t really think Luffy is Roger himself. I prefer the possible reincarnation idea or just the fact that he’ll be the one to carry on his will and fulfill the goals he couldn’t! 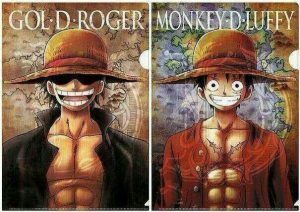 I think Gold Roger and Luffy are the same Person. Just think about it, this would make them “one piece”. smiling in the moment of death etc. There is also talking to sea kings and using Conqueror’s Haki. but the treatment shortened his lifespan. This could explain the mysterious illness Roger had. To make this happen they need a motivation to become pirates and go the grand line. Luffy travels in time grows up and becomes Gold Roger. He creates the myth and makes his final sacrifice, his life. This starts the age of pirates and changes the world one day. Yes, I do love your take on the theory my friend. Really dig the “one piece” metaphor, though I prefer the one that refers to the 4 seas becoming eventually the “one piece”. The similarities between Luffy and Roger are indeed many. Love the possibility that Luffy time traveled. Though this one may not prove to be true, it’s a really interesting and entertaining theory, to say the least. Thanks for the input! The thing that intrigues me the most is relationship between Laboon and Brook. It was underlined in such important tone. So my theory is that narrator of One piece is actually Brook who is telling story of Luffy to Laboon. Thank for the kind words, glad you like em. Brook being the narrator may not be far-fetched due to the nature of his fruit. Interesting idea! I think we’ve forgotten Luffys interest in finding Brook’s crew. Remember? It was mentioned that Roger had an interest in finding them, but he failed. Also, time warping was mentioned in the Wano arc. It would absolutely be possible that the builders in Wano created the poneglyphs with a built in time warp. Reread those chapters and pay attention to the wording. I would absolutely assume Eiichiro Oda would pull that off and make us want more. The concept of time travel is still very new to the series so far, so I wouldn’t put much stock into it, but I also understand how Oda’s mind works; he’s weird and eccentric and it would be so him to make Luffy relive his life over and over again. He breaks hearts and it’s not going to be a surprise if this theory ends up being true. Thanks for the input. For sure it’s a bit far-fetched but would certainly be really cool! Previous Previous post: Who is the mother of Luffy – Roger’s sister?